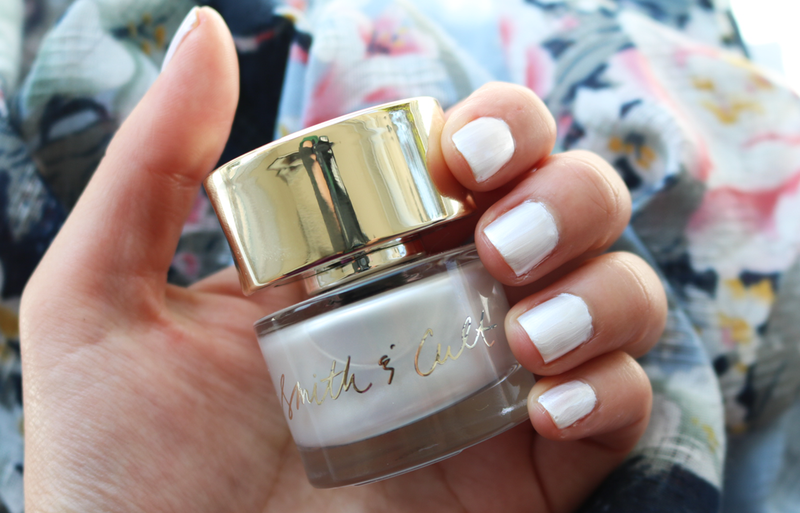 Luxury beauty fans will be delighted to know that Smith & Cult have three brand new shades out for S/S17, two of which are Limited Edition. 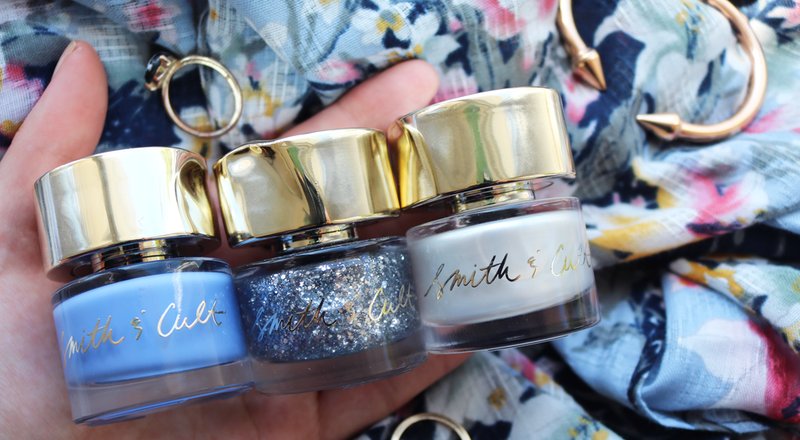 Smith & Cult's Nail Lacquers are easily identifiable by their quirky melted metal effect caps and chunky round bottles, with a simplistic but elegant brand typography on the front. They look like mini works of art and whenever you pick one of them up, they feel incredibly heavy, which just adds to their serious luxe vibe that oozes cool from every angle. 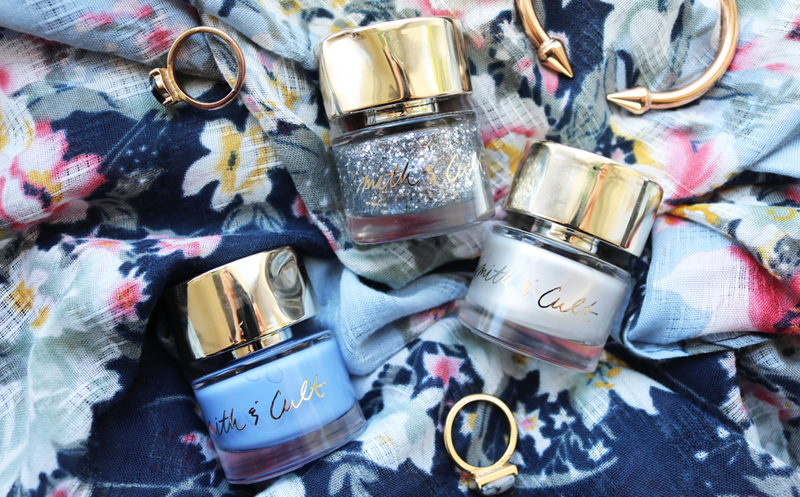 Smith & Cult's shade range has some really gorgeous contemporary shades in it, and their vegan-friendly, 8-free formula ensures that your luxury nail lacquer is free from Dibutyl Phthalate, Toluene, Formaldehyde, Formaldehyde Resin, Camphor, Xylene, Ethyl Tosylamide and Triphenyl Phosphate. I was very kindly sent their brand new S/S17 collection to try out, which features three new shades; Exit The Void, Glass Souls and Sugarette. My favourite of the three new shades is Exit The Void - a stunning Limited Edition opaque periwinkle blue shade that just screams Spring and Summer to me. This is one of those beautiful pastel colours that really stands out against a tan, but looks just as good on pale skin as well. This nail lacquer applied smoothly in two thin coats and has a lovely shiny finish to it. If you love glitter, Glass Souls will be your ideal summer festival companion. 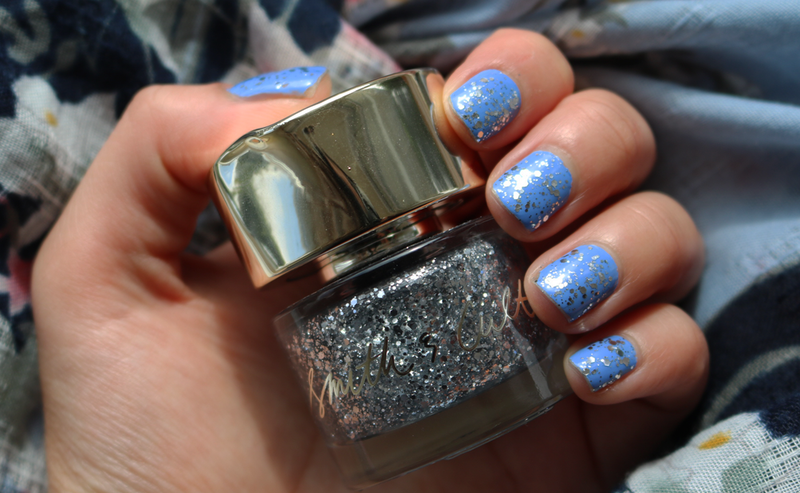 Featuring a mix of large and small silver glitter particles that are suspended in a clear base, this is the ideal polish to layer on top of any shade to really bring it to life - the glitter dazzles beautifully when it hits the sunshine! Here you can see what it looks like on top of Exit The Void, photographed in natural sunlight. Sugarette is the only shade from this new collection that I'm not really feeling, but I'm personally not the biggest fan of frosty pale shades anyway. It's described as an 'opaque frosty golden cloud', but you'll need to apply at least three or four coats to get it anywhere near opaque as the formula is so thin. I also find it impossible not to get streaks when I'm applying these sorts of frosted shimmer colours, however, if you have steadier hands than I do, you're likely to do a much better job than me! Not my cup of tea but I can see others loving this unusual Limited Edition shade. L-R: Smith & Cult's new S/S17 Nail Lacquers - Exit The Void (Limited Edition), Glass Souls & Sugarette (Limited Edition). Available online from Net-a-Porter, Cult Beauty, Beauty Bay, Bath and Unwind, John Lewis & SpaceNK. 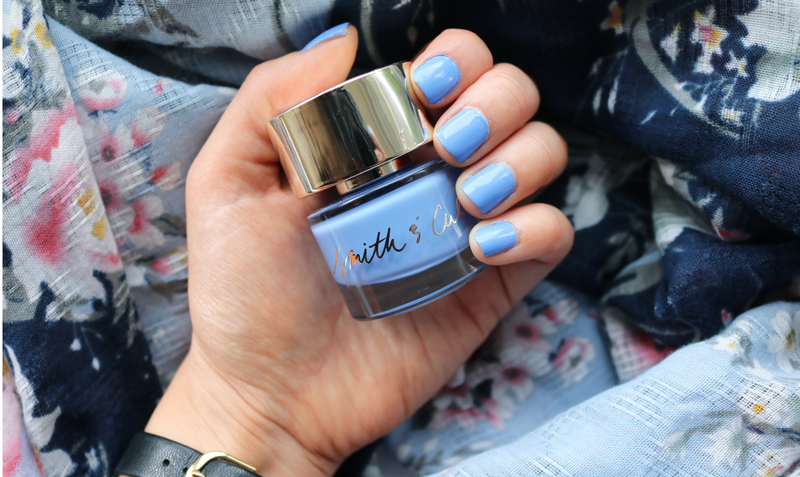 Are you a fan of Smith & Cult? Love the look of them all but that glitter is seriously amazing!! !